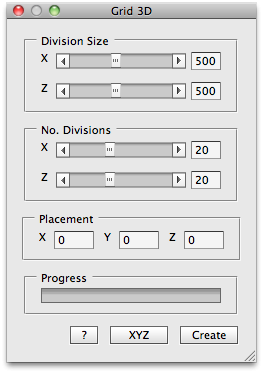 If you are familiar with 3D Animation software these widgets should be very familiar to you. They allow you to quickly orient yourself while animating your 3D comps. This script renders this "widget" in the corner of your comp and will quickly let you see your camera pitch, heading and horizon. It will also warn you when the camera goes below the horizon or floor or is upside down. This script renders a grid that moves and reacts with the 3D camera. It utilizes a very clever procedural method that will add very little rendering overhead to your workspace. 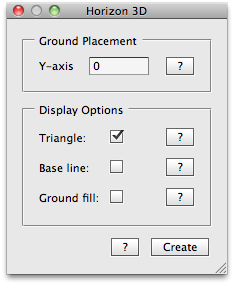 This script draws a triangle, base line and ground fill to further help you in navigating the 3D space. It also utilizes a very clever procedural method that will add very little rendering overhead to your workspace.